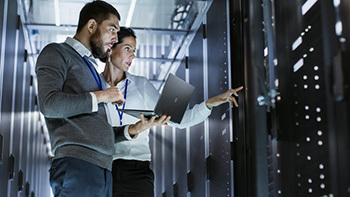 expands on the features and capabilities of Standalone Edition by introducing High Availability as an additional data protection layer to SERVERware. For even more layers of data protection like Fault Tolerance and Processing Scalability take a look at SERVERware Cluster Edition. 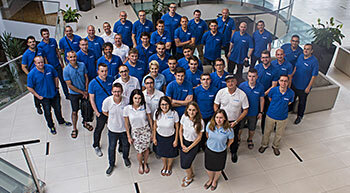 In order to provide High Availability of hosted services, SERVERware Mirror Edition requires two identical servers, a primary and a secondary, connected back-to-back. Data between these servers is synced in real time from primary to secondary. 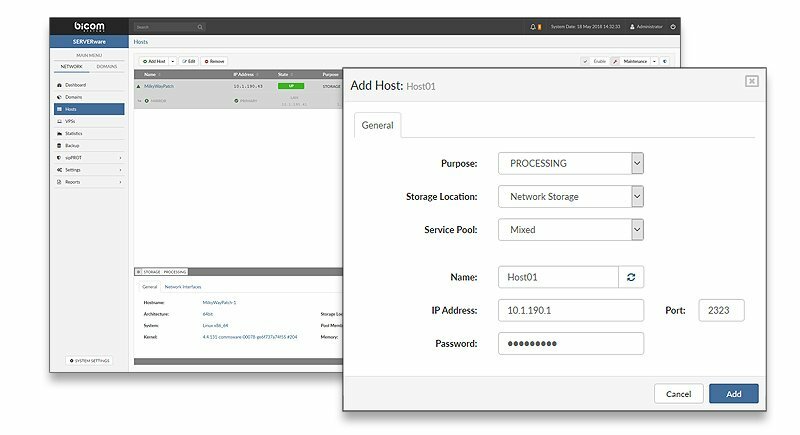 SERVERware Mirror Edition utilizes Linux Containers to achieve better hardware utilization and provide the maximum performance of hosted services. Relying on technologies such as ZFS & iSCSI, SERVERware provides a centralized storage for virtual servers running on different processing hosts and thus ensures the high availability of hosted services and prevents data loss. 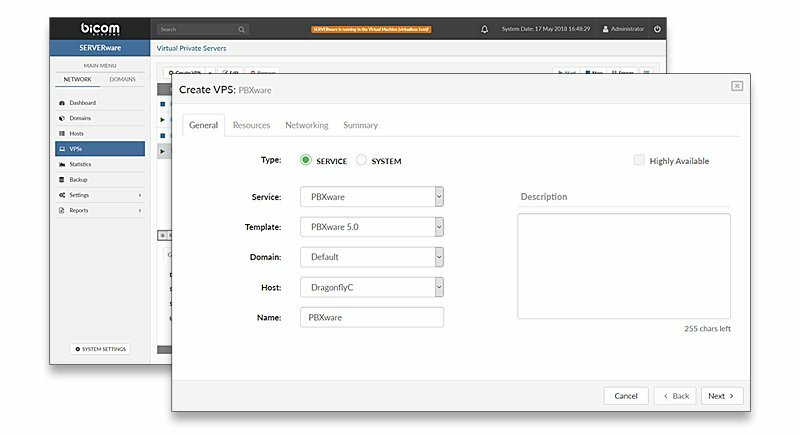 SERVERware GUI provides full control and easy management of Hosts, Domains, and VPSs on the system. 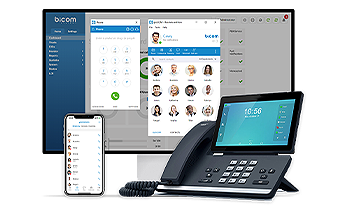 Swiftly deploy new VPSs with a dedicated resource pool and PBXware (Telephony), TELCOware (Billing) or sipMON (Call Quality Assurance) image on it – ready to install. The entire process of setting up a new VPS with a pre-loaded template takes only a few minutes to complete. ALL VPSs can be deployed in a highly available configuration automatically, without additional configuration needed. Allocate resource pools (Processing power, Memory, Storage & Bandwidth) to a company department or a 3rd party using SERVERware Domains. 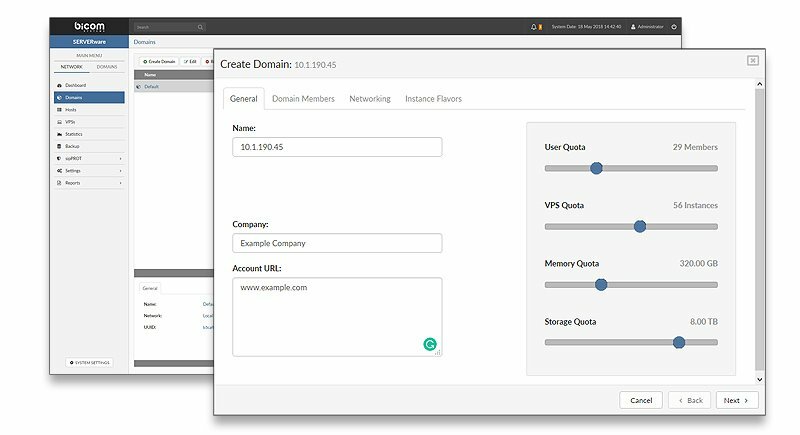 Assigned users will be granted rights to create and manage a VPS inside the Domain using allocated resources. Deployments of VPSs, management, and distribution of server resources and monitoring of the overall system status is implemented through a comprehensive and user-friendly GUI. This lessens the need for highly skilled Linux technical resources to be deployed and frees time for other items. Scaling up the system to distribute new resources is performed through GUI and simplified to the maximum. Growth can be achieved painlessly with SERVERware.